Sneak(er) preview. This time I would like to introduce a brand which I noticed almost a year ago. I recognized their blog called THE SOUL OF GOLF and the nice imagery on it. Also I like their logo. Half a year ago they started to post more about their collection on facebook, twitter and tumblr. and I was really keen on it. It included shoes, headcovers, different bags and wallets. Basically I like the idea that a product has it`s inspiration in the history of the game but at the same time has uncompromising high quality standards and a modern design. 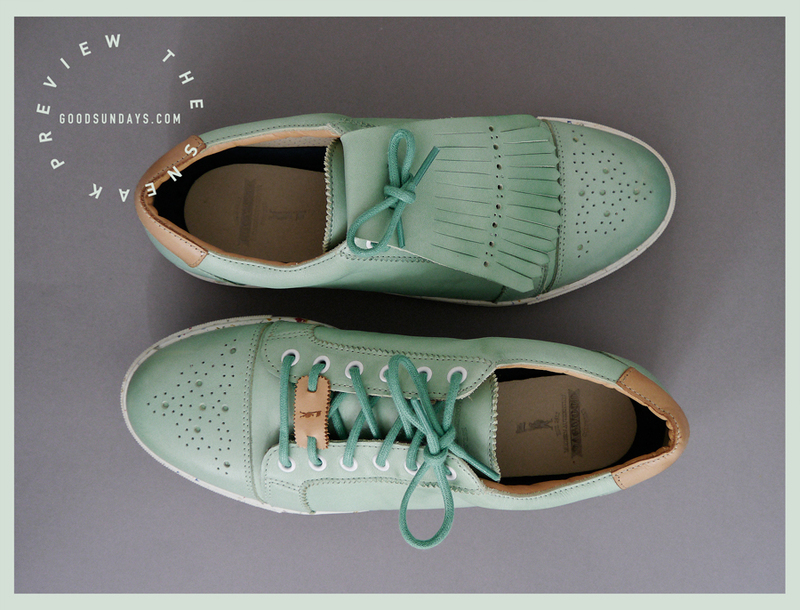 So I am very proud to present the brand new “George” in mint of the shoe collection of Dagwood Golf in this goodsundays.com sneak peak. Just received it yesterday and I was so impressed. 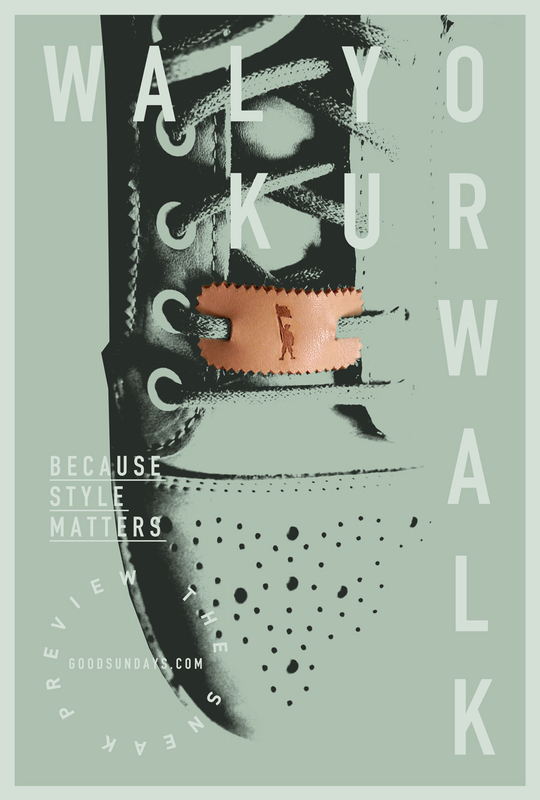 This shoe is so comfortable and suits perfectly and it has so many details like the white sole with splash of colors or the toecap which reminds me of a vintage golf shoe. I am very excited and nosy about Dagwood and I am looking forward for more fresh reviews about their product portfolio.